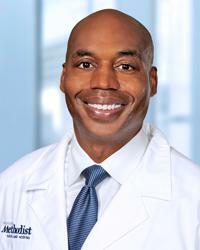 Dr. Ellis is the Director of Cardiovascular Services and the Director of the Chest Pain Center at Houston Methodist Sugar Land Hospital, and has been the Director of Nuclear Cardiology for Diagnostic Cardiology of Houston since 2009. A recognized member of the American College of Cardiology Peripheral Vascular Disease Committee, Dr. Ellis has published a number of scientific manuscripts and book chapters on coronary artery disease, and valvular heart disease. Additionally, Dr. Ellis has presented his data at the American College of Cardiology and American Heart Association national meetings. He is an editorial consultant for the American Journal of Cardiology and Catheterization and Cardiovascular Intervention. Dr. Ellis is actively involved in clinical trials through the Houston Methodist Research Institute and is the principal investigator of on-going clinical trials at Houston Methodist Sugar Land Hospital. Over the years, Dr. Ellis has won Male Physician of Excellence and Most Respectful awards at the Houston Methodist Sugar Land Hospital Doctor's Day Ceremony.